Our engineers and design team have over 30 years of experience in prototype, conceptual design, research and development. A2ZFX's design team can provide conceptual and visual presentation materials that will effectively communicate concepts and project details. With experience in practical design and fabrication, our team understands how to design projects that can actually be built. • 3D CAD Modeling & surfacing of forms for one-off fabrication, multiple, limited, or production mold fabrication. 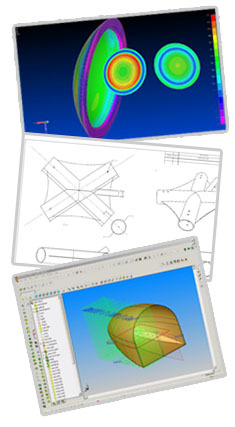 A2ZFX has the experience necessary to integrate engineering standards and methodologies from diverse disciplines in the creation of unique projects. The A-to-Z approach to our range of services ensures that the integration of all elements of the final project is thoroughly pre-planned and engineered accordingly. • Test Subscale Engineering Validation Models to Study Design Concepts and Performance Est. • Validate Production Methods through Inspection and Statistical Methods. 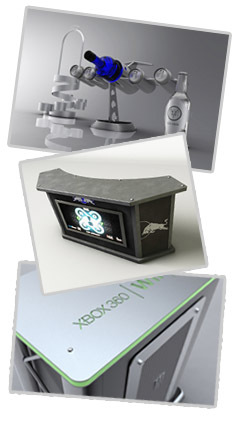 A2ZFX can design, engineer, develop and build many kinds of prototypes. Many of our prototypical products are created to be utilized in the same extreme conditions as our production projects. We pride ourselves on our high level prototype finish and serviceability. Client involvement is encouraged to help you understand how your needs are being addressed and to further your understanding of your projects every element. 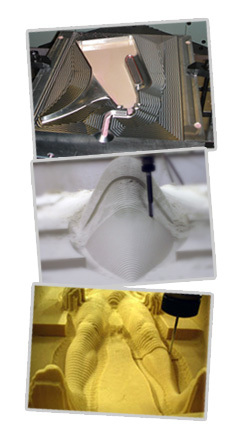 We also offer rapid prototyping. Our team is able to create solid 3D models from which we can utilize RP technology to create parts and full functioning products out of ABS Plastic & Wax for the jewelry industry. 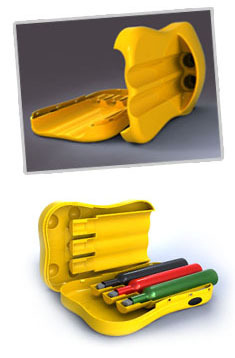 Our prototyping services extend to further development if the projects demands may require. Such as full functionality, low production as well as high production tooling for injection molding, blow molding, and mass production. 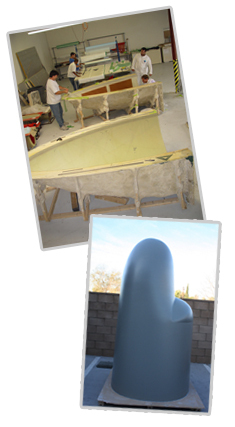 A2ZFX offers CNC milling on a very large format 20'L x 11'W x4'H along with 5 axis capability which can create machined masters, molds, tools and negative forms in a variety of materials. Complex sculptural and industrial forms with a high degree of intricate surface detail can be created in infinite size variations with no limit to final size. 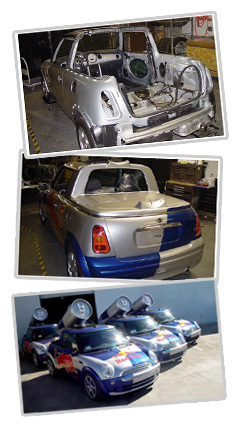 For example, an entire car body may be machined in one piece as opposed to smaller machines doing the job in several pieces that have to be mated together after machining. This allows for accumulated error as well as extended machine times. Our large scale approach gives us the ability to provide faster turn-around times without compromising quality and accuracy. We utilize a wide range of machines that allows us to accomplish many different results depending upon each unique project's demands. We offer CNC Milling, turning, lathe, CNC Hot Wire Cutting, Laser Cutting & Etching, Plasma Cutting, CNC Routing, 3D Foam Machining & More. 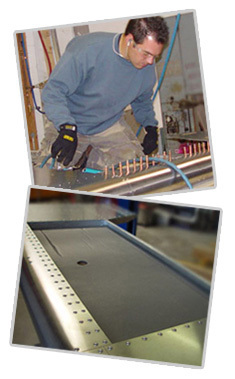 A2ZFX uses metal forming, sheet metal brakes, CNC and conventional tube and box bending and forming. Our ASME certified welders maintain quality welding from many types of ferrous and non-ferrous metals utilized in our construction to compete simple to very complex components. A2ZFX Founder, Art Thompson, is renowned for his former work as Northrop Grumman's Research & Development Composite Shop Manager and still serves the Aerospace industry with high level of expertise. A2ZFX uses a wide range of composite materials, technologies and methodologies that are best suited for each project to meet the required structural demands and cost engineering. Whether used to accomplish the needs of difficult engineering or to give the right aesthetic impact, A2ZFX's team are master composite technicians dedicating their efforts towards providing unsurpassed quality on every project. 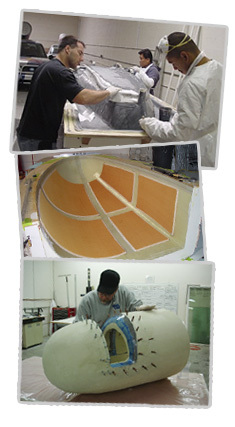 A2ZFX has expert-level experience in tool making, including epoxy, urethane, plaster, plastic faced plaster (PFP), high-temperature vacu-forming, tooling & metal shaping. A2ZFX retrains its team members for each custom assembly program. We plan, research & utilize the best methodologies to orchestrate all components into very clean installations that have the perfect finishing touch. We can integrate all forms of required electronics into your projects. We supply and install the most advanced Audio/Video, self-sufficient solar cell powered generations, fueled generators, power reducers, inverters and conditioners, unique lighting applications including video controlled LED lighting as well as conventional lighting effects. Engineering & Assembly of wiring harnesses. We can provide you with complete electrical harness scematics to document your products final specifications. We utilize the most advanced automotive finishes applied in compete climate controlled, down draft spray booths and the widest selection of powder coatings such as textured urethanes and spray-able metals to achieve unique effects & enhance servicability of surfaces. A2ZFX can establish, develop, refine or help perpetuate your existing corporate identity. 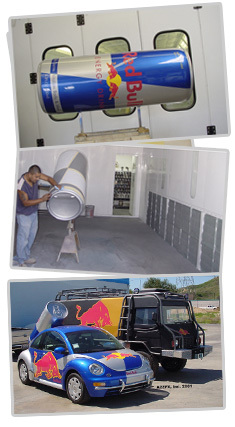 From coatings to vinyl sheeting, printed graphics and custom 3D constructions with metals or composites. We utilize all our disciplines to give your branding the attention it deserves. We can coordinate all your logistics needs to ensure that your products are prepared, staged and shipped on schedule in support of your efforts. From custom crating to on-site client support, your products will not only be built on time but will arrive at the proper location on time and ready for utilization with representatives ready to train your staff on assembly, utilization and maintenance. Copyright © 2010 A2ZFX Inc.